Box Dimensions (LxWxH) 11.5 x 6.2 x 6.1"
70-200mm f/2.8 Di LD (IF) Macro AF Lens for Sony Alpha & Minolta SLR is rated 4.6 out of 5 by 78. Rated 4 out of 5 by Liam from Worth the money I couldn't justify spending twice as much for the newer Tamron 70-200 that doesn't have VC in the Sony mount. Sony's in camera VC does a good job with this lens. The only reason for a 4 star rating is the slow focus at times, but that I knew this after reading several reviews in my research before purchasing. When using this lens indoors in poor lighting I simply switched to manual focus. 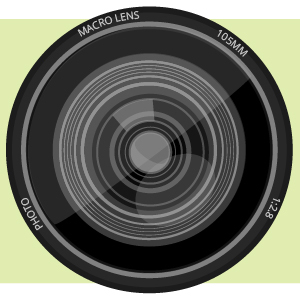 The lens is heavy, but that is to be expected with any lens of this focal range. I would recommend using a vertical grip attached to the camera body to balance the weight of the lens when hand holding. The included tripod ring and lens hood are a plus. Rated 5 out of 5 by Walter S. from Having fun with this lens! Been having a ball getting acquainted with this lens.I'll take pictures of just about anything but I prefer wildlife, macro and grandkids.The f/2.8 arpeture is giving me more versitility with all types of lighting and the solid build gives confidence of it's durability.Like most lenses though there can be some drawbacks.Wide open at 200mm. pictures are a little soft(not surprised).Stopped down a little or back off on the reach and pictures look good.The auto focus is quick enough to stop birds in flight with good light.Not as fast in twilight but thats what manual focus is for. Rated 5 out of 5 by Anonymous from Great Lens for sports This was my first non-Sony lens purchased for my a100. I wanted a zoom lens with a f/2.8 and didn't want to spend the money for the Sony version. My Sony 75-300mm f/4.5 takes great daytime photos, but fails when the light goes down. My kids have swim meets in the evening outdoors, and I was always unhappy with the outcome of my pictures with my other lenses. My Sony 50mm f/1.4 did great, but no zoom. After using this lens at a couple swim meets, I can tell a huge difference in my pictures. They turned out vibrant and colorful with such depth. I can see using this lens for many more things than for what I bought it for. Rated 5 out of 5 by Mike in Brooklyn from Great value at its price point This lens is sharp even wide open and its colors are either spot on or very close to it. I have not seen any fringing or vignetting either. As with all f/2.8 lenses, it's a bit heavy, but I stood for hours taking pictures of a parade with this lens on my camera at all times and my arms rarely needed to rest. If I had to give any complaint at all, it's that the lens will, rarely, hunt too much for a subject. This happens most often when taking pictures of airplanes against a cloudless sky. I look forward to shooting sports action at night with the lens. From what I can tell, it'll perform quite admirably then, as well. Rated 5 out of 5 by Anonymous from Good glass! After comparing it with the Sigma, I went for the Tamron because of several little things: - Better optical performance overall - Better IQ of APS-c and FF - Better price tham the Sigma. There are some things I'd like to mention: Recently on Dpreview there were some rumors this lens wouldn't last over 40-50.000 shots. I've only shot 300.000 and never had any glitch, so I cannot confirm this rumor. The AF isn't as good as the Sigma, but for someone like me coming recently from a MF SLR, this isn't a deal. AF is indeed as fast ( on continuous) as I can get! 100% recommendable! 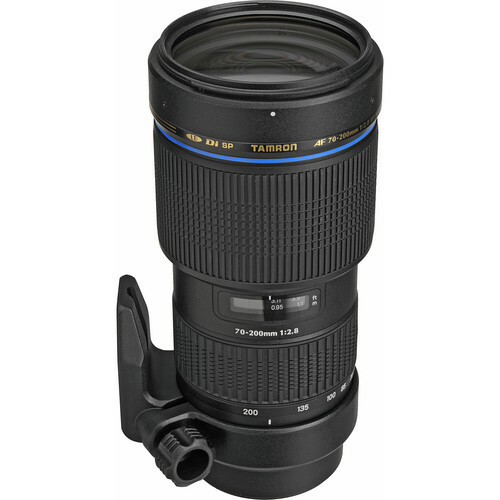 Rated 5 out of 5 by R Guy from Excellent lens for the money I use this lens mainly for portraits and plants/flowers. It is razor sharp with consistent output. Excellent bokeh gives a nice blurry background/sharp on subject. Cropped pics from macro shots are crisp and usable 8 x 10 and larger. Focusing speed is good. I hardly miss seagulls and squirrels with this lens. Build quality is solid. However, I found the zoom/ focus rings a bit loose compared to all my other lenses (including Tamron 17-50 f2.8). It is heavy but for the excellent image quality, it is worth to carry it like a baby with both hands while walking in nature trails.